Just beneath Sosharu restaurant in Clerkenwell, 7 Tales bar is part of Jason Atherton’s Social Company, which offers a constantly changing cocktail menu of drinks created by bartender Robyn Wilkie. Typically simplistic and influenced by Japanese culture, using Japanese ingredients, the bar’s drinks list generally features a selection of 10-12 cocktails. 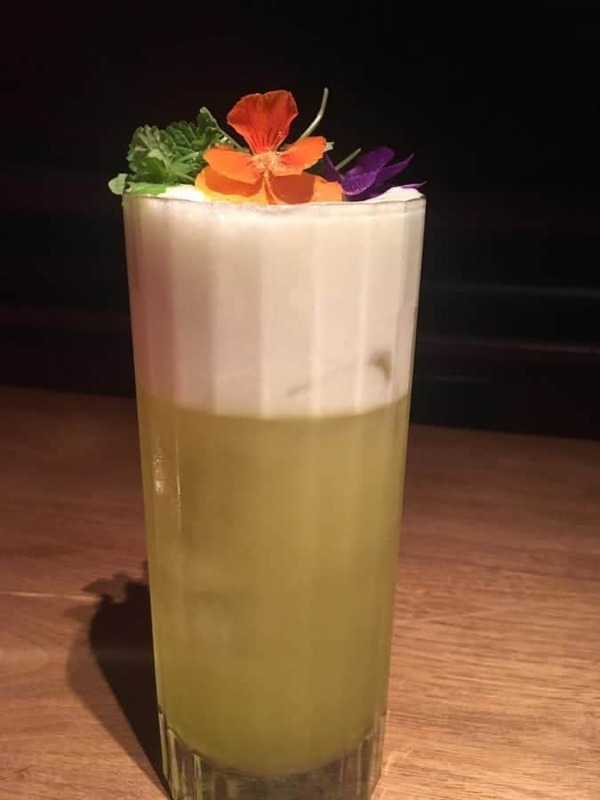 7 Tales’ homage to St Patrick’s Day, for instance, combines Irish Jameson whiskey with Japanese Midori liqueur, Asahi lager, yuzu juice and coconut water. The drink is available at 7 Tales this weekend (priced at £10) or can be made at home by following this simple recipe. Shake Midori, Jameson, coconut water, yuzu juice and egg white over ice. Strain into a highball glass and top with Asahi lager. Garnish with flowers and (optional) gold shimmer. Further information on 7 Tales can be found at sosharulondon.com.